There were several reasons to show this impressive jewelery collection in Venice. First, this city is closely connected with the fate of the legendary founder of the House: Chanel considered him to be her, very close to her in spirit. It was Venice, in which it first appeared in August of 1920, that cured Gabriel from suffering after the tragic death of her beloved Arthur (Boy) Capel. In addition, Mademoiselle was born on August 18, 1883 under the sign of a lion, considered him to be her lucky symbol, namely the lion, the symbol of the evangelist Mark, was also the heraldic symbol of the city on the water. Secondly, the company Chanel sponsored the restoration of the sculpture of a lion and one of the facades of the Cathedral of St. Mark, and to demonstrate this wonder of the world to guests from all over the world was not superfluous. The collection of jewelry Sous le Signe du Lion itself was presented in another significant place – a real Venetian palace. Its entire ground floor was set aside for an installation with the play of light, video art and, of course, decorations in the lead role. The development and installation of this exposition took seven months from the House. Glance guests appeared 58 new items, some of which we have already seen. We are talking about the necklace, bracelet, earrings and rings of Constellation du Lion, which were part of the 1932 jubilee collection. For a time they “moved” from one collection to another not by accident, because these objects in the form of lions from crystal and quartz became the impulse and inspiration for the present high-level assembly. As the head of the Chanel jewelry direction, Benjamin Komar, told us, the brand designers for several years were looking for the perfect jewelry embodiment of the Leo symbol – the zodiac sign and talisman Gabriel Chanel – and this is the success of the lion jewelry from the “1932” collection that suggested the right path. The entire collection “Under the Sign of Leo” is divided into several parts: the first is the “sculptures”, the Constellation du Lion jewelery became the fundamental principle of this subline; the second is the “profile”, the third is the “face”, and finally the fourth is the “talisman”. A whole pride of a wide variety of lions: in pavé of diamonds, with pearls, carved from rutile quartz, crystal or lapis lazuli. Byzantine luxurious collection! 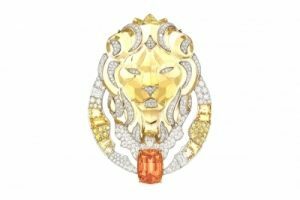 A majestic lion in Lion Céleste brooches of gold and diamonds is depicted in profile with a paw on a diamond ball and refers to the famous sculpture from Gabriel Chanel’s apartment on Cambon Street in Paris. A bright predator Lion San Marco, carved out of lapis lazuli and clasping a star of yellow gold with its front paws, shimmering with diamonds, already symbolizes the figure of the Winged Lion on the facade of St. Mark’s Cathedral. Loin Solaire has the warmest color solution, embodied in figurative brooches, necklace and ring, and in abstract earrings. The jewelry is made in a sunny combination of yellow gold with citrines, beryls, yellow sapphires, colorless diamonds, topazes and garnets. 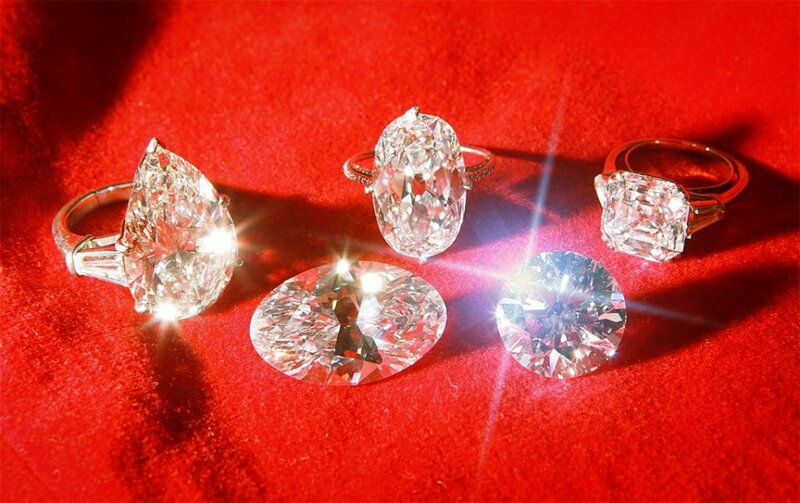 Another set of Lion Astral, which, in addition to jewelry, also included a watch with a secret, on the contrary, is kept in color – only white gold and colorless diamonds of different cut. In Lion Impérial, cultured pearls are added to the brilliance of diamonds and white gold. It is he who makes these so similar to the Lion Astral in the subject of decoration completely different in spirit. 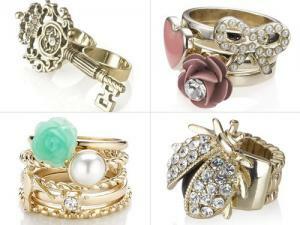 Pearls soften and color feeling and mood of jewelry. Lion Talisman with medallions in the form of a lion’s head as if combined all the material solutions of the collection’s jewelry together. 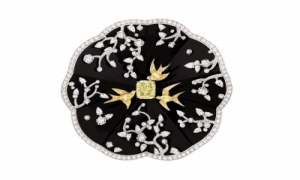 In “Talismans” you can find both strict diamond versions, and contrasting combinations of black spinel with colorless diamonds, and solar variations in yellow gold with cultured pearls of different colors. The most expensive jewelry “Under the sign of the lion” was the necklace of Lion Royal with 1350 diamonds weighing about 90 carats (the largest of them is 6 carats), the only one created in platinum. 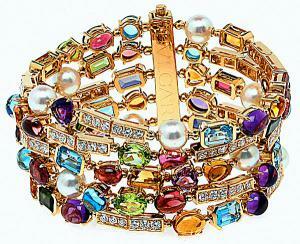 It can be worn as a sotuar and as a shorter necklace, and the detachable part itself can be pinned to fit as a brooch. But the most difficult in execution was another diamond necklace Lion Mosaique – it was incredibly difficult to make a mosaic for Chanel jewelers in the design of the sketch, and then put it in the material of its complex geometry. True, now Chanel will be easier to work with high-level items of this level of complexity, because since March of this year, the House has its own jewelry studio on the Vendome Square, which has not previously communicated a brand about this topic.